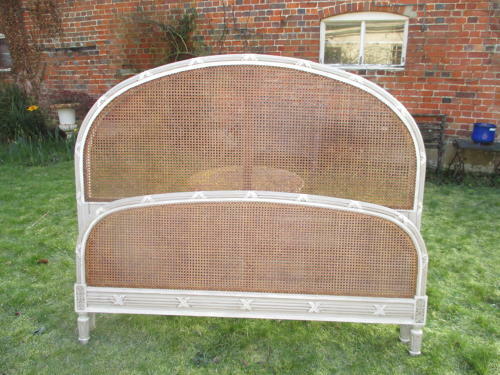 A Kingsize French caned bed recently painted in contrasting Farrow and Ball colours. In the Louis XVI style with an attractive arched shape to the Headboard and Footboard. All in excellent condition including the cane-work. Can be supplied with slats to support a mattress if required.